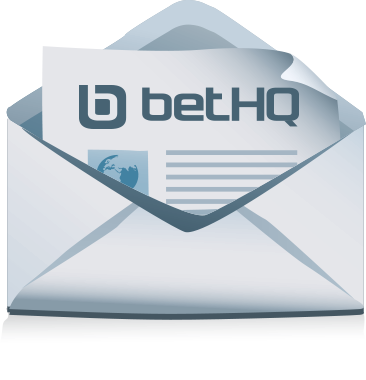 10Bet is an online-only bookmaker that was launched in 2003. From its base on the island of Curacao, it provides betting services in over 90 countries. Here we review 10Bet's strengths and weaknesses from a punter's perspective. 10Bet.co.uk is licensed and regulated by the UK Gambling Commission, License Number 003390. Its parent company, Zapzap Marketing Limited, is registered and licensed in Curacao. This company runs a number of other online gaming brands, including BetPlay, BetRally and Real Deal Bet. 10Bet prides itself on offering users highly secure online betting, with Secure Socket Layer technology used for all sensitive pages and advanced firewall protection of all servers. 10Bet appears to provide a stable, secure option for punters. However, it can't (yet) compete with the giants of the industry, like Bet365 or William Hill, in terms of financial stability and public trust. 10Bet odds tend to be in line with those offered by major UK bookies. This middle-of-the-road approach means that 10Bet rarely offers the best prices on popular betting markets for high-profile events. However, you’re also not going to see major differences in value between what 10Bet offers and the odds from major players like Ladbrokes and William Hill. As a relatively minor player in the online betting industry, it’s no surprise that the 10Bet website doesn’t break new ground. A plus is that thanks to the absence of a casino associated with the sportsbook, the site is free of casino links and ads. The focus is purely on sports. In addition, a familiar sportsbook site structure make it easy to find your way around the site and access the markets you’re looking for. The site is also optimised for an international audience, and is available in a number of different European and Asian languages. 10Bet's Live Betting portal provides access to odds for a large number of live sports events taking place around the world. 10Bet also provides access to live scores for events you wish to bet on. If you like betting on the move, 10Bet has you covered. Visit the 10Bet website on your mobile phone and you’ll automatically access a mobile version of the website. 10Bet also offers an IOS app, which is considered to be among the best mobile betting apps in the business. However, no licensed app is available for Android users. 10Bet offers customer support services via e-mail and telephone, 24/7. Unfortunately, there's no live chat option. However, a toll-free number is available for UK residents who require prompt responses to their queries. Depositing and withdrawing funds from 10Bet is straightforward, and all major online payment systems are supported. Among these are Skrill, NETELLER and PayPal, as well as Visa and Mastercard. You can also deposit and withdraw money via electronic fund transfer or cheque. 10Bet offers far less comprehensive services than the major online bookmakers. However, it offers great specials, wide betting coverage and excellent security. (or see our highest rated bookmakers).